The use of technology in the classroom has steadily gained traction over the past decade. From tablets and computer games to social media, school systems across the country have identified technology as a unique resource for learning. With the first generation of digital natives ― or individuals born after the widespread adoption of technology ― now populating K-12 schools, it is important that teachers understand how to most effectively use technology in order to best help students learn. According to a University of Phoenix College of Education survey, nearly all K-12 teachers said educational technology like laptops, SMART Boards and apps, are being used in schools. 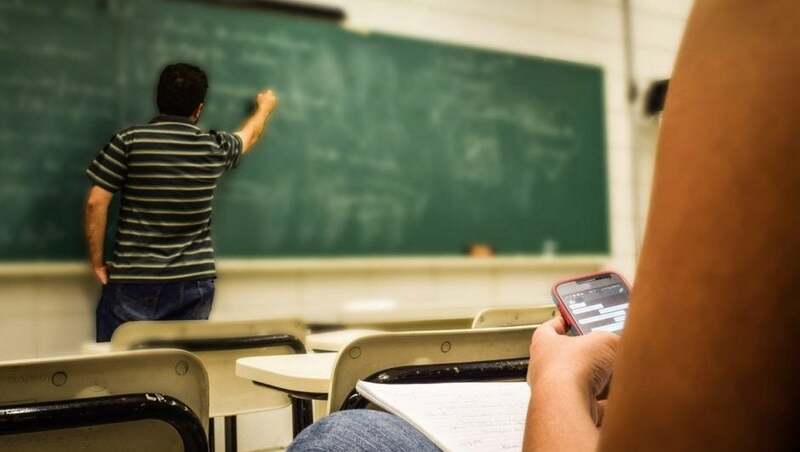 Unfortunately, the survey also found that nearly one in five of those surveyed feel intimidated by students’ knowledge of tech devices, and only one in four have had significant training in integrating technology into the classroom. School systems should commit to comprehensive professional development regimens that emphasize the value of a tech-integrated classroom and the skills needed to run one. It’ll take fellow teachers, as well as school officials and community stakeholders to learn from one another’s successes. Ultimately, technology professionals will need to commit to helping educate our teachers to better shape our country’s future tech workforce. Teachers should be encouraged to start their own initiatives and share their successes. Some examples include: starting a tech support group for fellow educators in the school and district, working with principals to host free community workshops and having an active voice during local school board meetings. As technology continues to play an integral role in daily life, much of it already has been integrated into the classroom. For instance, Calcasieu Parish Public Schools in Louisiana give teachers the resources to take online courses and participate in webinars when they please. Rowan-Salisbury School System in North Carolina embeds “instructional technology specialists in each school” to fit the needs of individual teachers. The success of these programs is still being measured, but data shows that classroom technology is already making a positive impact: students who use laptops in school display higher levels of comprehension, technology in the classroom has increased assessment test scores and dropout rates and absenteeism decrease as a result of technology. These professionals are at the forefront of innovation and will shape the future of the industry. They can make a large impact by helping shape education from both the student and teacher sides. Participating in student mentorship and learning programs, inspiring their companies to create professional development opportunities for teachers, and speaking at educator and community events are a few ways to get involved. Technology creates a more individualized, tailored approach to teaching that will serve to benefit students from all backgrounds and learning styles. If we’re serious about investing in education technology, we must think deeply about how we train our educators, who are uniquely positioned to teach the first generation of digital natives. To unlock the full potential of today’s students, however, it is important that teachers master the relevant technology. Helping educators with professional development will help them train the crucial technology workforce of tomorrow.